Inspired by the sumptuous interiors of the Art Deco era, the Opera Armchair by Rugiano combines high-quality materials with a modern design aesthetic. 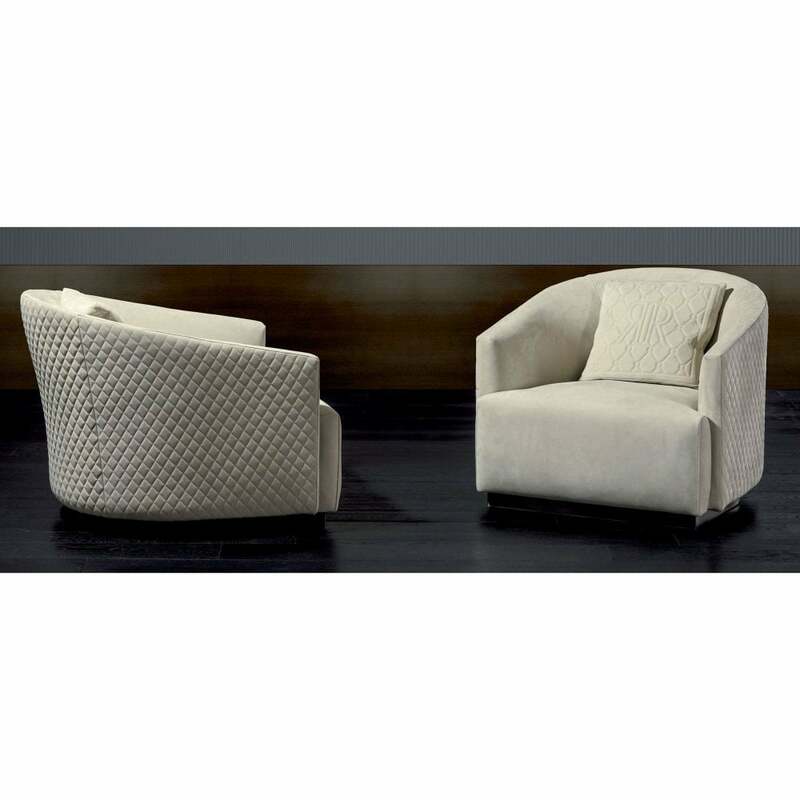 Hand-crafted in the heart of Italy, the Opera Armchair is upholstered in a choice of Tessuto fabric or Pelle leather. Featuring a deep seat and curved backrest, Opera combines form and function to create a covetable design that is built for maximum comfort. The armchair is finished with a bronze or steel base for a glamorous touch. Combine with the Opera sofa for a cohesive look that is both elegant and timeless. Available in two sizes. Samples can be ordered upon request, make an enquiry for more information.